Well, here we are. It’s weeks past Labor Day, and I’m wearing white. Not just white shoes or a white scarf — all white. Before you call Stacy London of “What Not to Wear” in outrage, let’s chat about the origins of this age-old adage and whether or not it should be preserved. 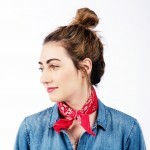 According to a Time article from 2009, this fashion rule began in the early 20th Century. For the most part, people wore white during the summer because the dark, heavy clothing they would usually wear was too hot for summer days. When fall returned, they would revert to their usual black, brown and gray. This could be one reason for the rule. However, it’s possible the true origin of the “no white after Labor Day” rule was created out of snobbery. During the early 1900s, members of the old-money elite could afford to take long vacations, unlike their social inferiors. During these high-class holidays, they would wear their smartest white linen and finest ivory accessories, giving off an air of casual luxury. These outfits created a sharp contrast between the rich folk and the drab fashions of the general population. Labor Day was an unofficial end marker to summer, as it is now, and the trend of storing away white clothing as summer came to a close became a hard-and-fast etiquette rule for the elites. It was a way to separate themselves from the burgeoning middle class that was becoming increasingly wealthier and closing the social gap. Those who weren’t in the know were easily identified and viewed as outsiders. Fortunately, it’s not the 1930s anymore, and we don’t have to dress based on our social status in society. White clothing can provide respite from the drudges of the endless black, navy and gray that colder months often entail. There are many ways to style fall and winter whites, and I went all in for this outfit. I have not yet been snubbed, which is a good sign that this rule is a bit outdated, and at it’s core, fairly ridiculous. 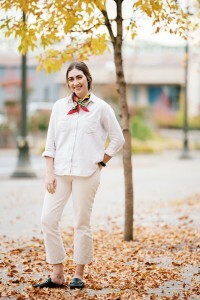 Today’s outfit is centered around some great ivory crop flare jeans from Madewell. They are one of my favorite pieces for fall, because the off-white color makes them a versatile neutral that looks great with a variety of other colors, both dark and light. If you want to be an etiquette rebel, you can go for the all white look, like I did today. My top is a soft, grayish-white flannel, which also happens to be from Madewell. I chose this shirt because it’s fuzzy texture and thickness definitely says autumn. Plus, it has pockets. 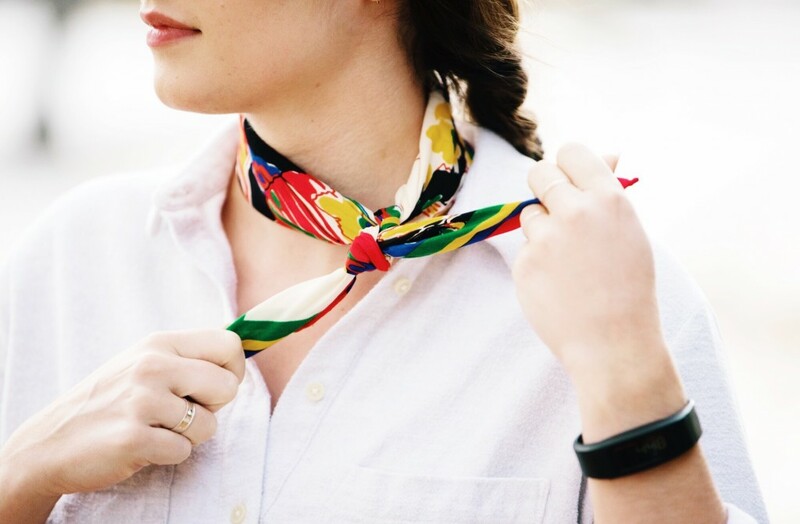 As a self-proclaimed scarf aficionado, you can spot me with a bandana around my neck at least three days a week. Today was one of those days. This artsy, abstract bandana from Zara works great because the colors have nothing to compete with, since I’m wearing all white. There is also a bit of cream in it, which reflects the color of my pants and ties the outfit together. Lastly, I am wearing a great pair of mules, which were a steal from Target at $22. Talk about bargain shopping! Texture and material: These can make all the difference. A cozy knit sweater is going to be weather appropriate whatever color it is. Creating contrast: White jeans can be winterized by pairing with heavier materials or darker colors. Try a heathered gray or a denim top for a great fall outfit. Change your shade: Off-white and super light gray are close enough to white in my book. Go for a blue or yellow undertone like did in these photos. Play with patterns: A crisp black and white windowpane pattern or a pretty floral pattern on a can change the mood of an outfit. Always accessorize: A white blanket scarf or sneakers can freshen up your darker winter wardrobe.